© 2003 56" x 65" The tiny shoofly blocks that dance across this quilt top remind me of musical notes in the songs that my son Tim writes and sings. When arranged into 4-patch units separated by wide sashing, the quilt becomes large enough to nap under. 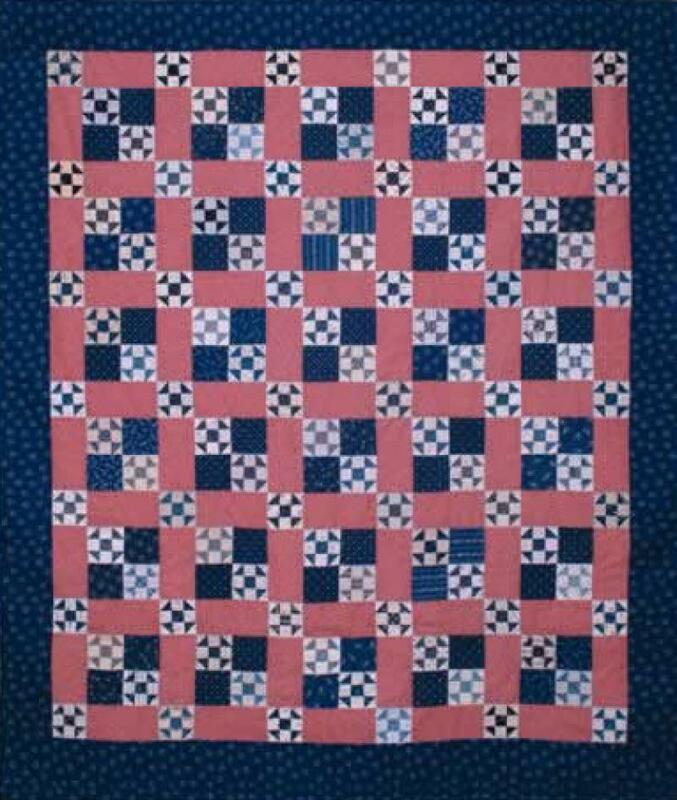 The shooflys used in this quilt were the result of a block exchange with friends in which we focused on using shirtings and reproduction blues.